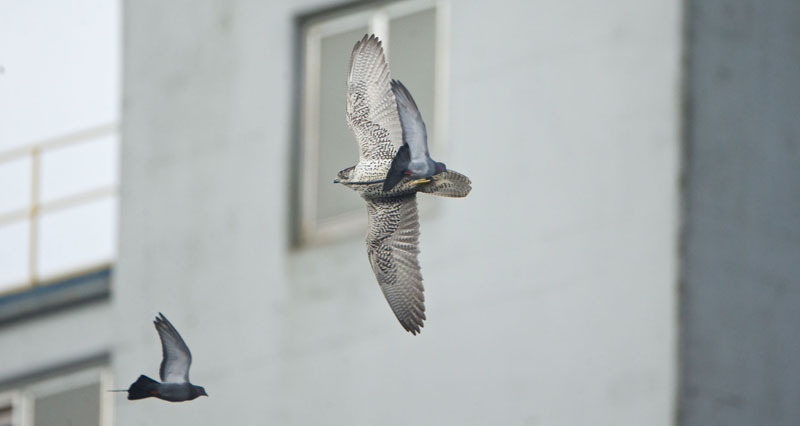 Blog » A Gyrfalcon Takes a Pigeon out of the Sky! 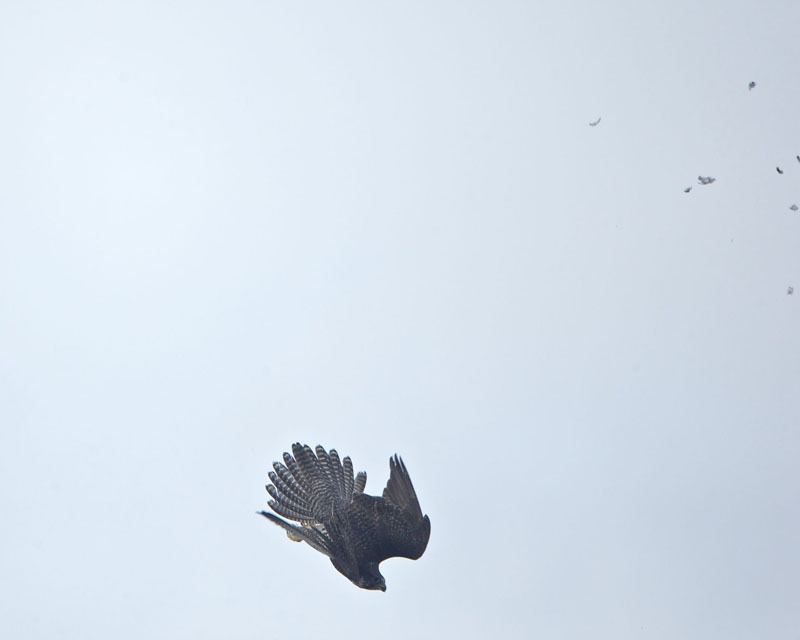 A Gyrfalcon Takes a Pigeon out of the Sky! In late February, 2014, photographer Gregg Thompson visited a grain silo near Vancouver, British Columbia, where a Gyrfalcon has spent the winter. Actually, Gregg spent several days there, hoping to take a photo of this dashing predator as it catches one of the many pigeons that roost in the silo. The first day, Gregg stood around for five or six hours and saw about ten unsuccessful hunting forays. The second day, he was more successful. Check out his stunning images below. The Gyrfalcon, upside-down, in pursuit of its prey. Flying among the pigeons, it locks in on a target. Thwack! An explosion of feathers as it punches the bird out of the sky with its talons, then catches it mid-air. 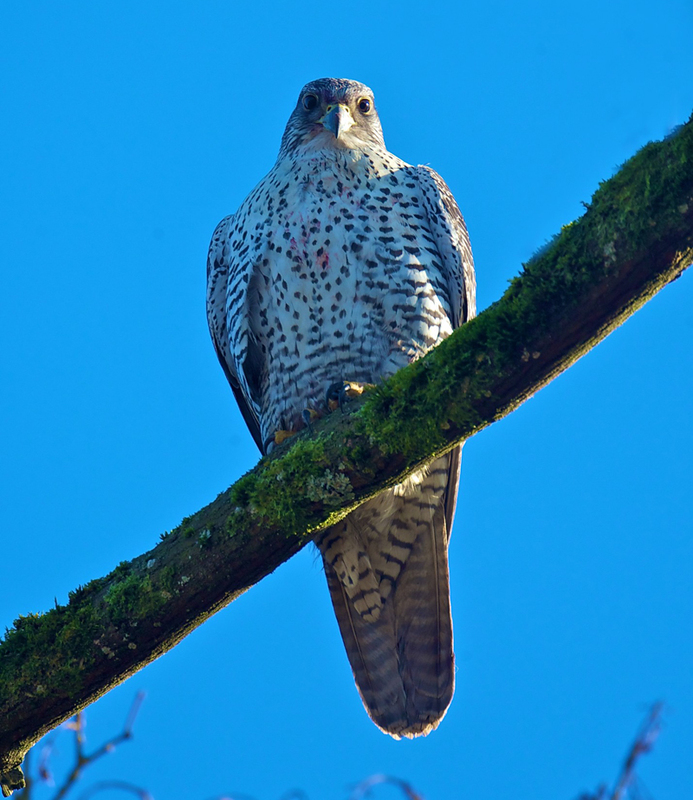 Listen to a BirdNote show about the Majestic Gyrfalcon.